Last November, an interdisciplinary group of scholars from around the world came to Utrecht for a workshop on corporations. The event at Landgoed de Horst in Driebergen-Rijsenburg was organized by Michael Bennett as part of the sub-project Corporate Property: The Public Role of the Corporation. The workshop started on Sunday 25th with a paper by Andreas Scherer (University of Zurich), on the role of indirect compellence on institutional change. The paper draws on the case of how the extraterritorial law enforcement of the USA had an impact on Switzerland’s banking secrecy policy. 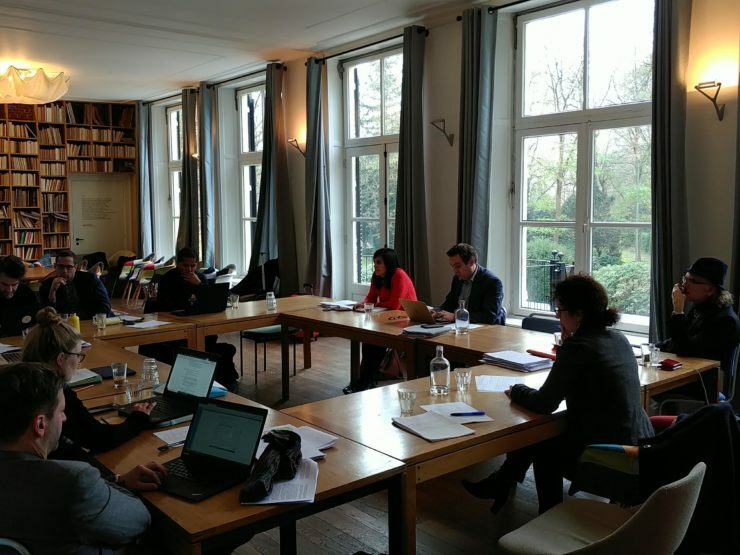 This discussion was followed by Sandrine Blanc‘s (KU Leuven) paper on the scope and limits of the right to the objection of conscience that workers have in firms. The last discussion of the day revolved around Paddy Ireland‘s (University of Bristol) paper on the genealogy of the power that shareholders hold (both de facto, legally and theoretically) in joint-stock corporations. On day two Swaantje Sibke and Christian Neuhäuser (both TU Dortmund) started with their paper on ‘Dignity, corporate political responsibility, and business legitimacy’ in which they discussed the duties that transnational corporations have to respect human rights and other commitments on justice. Also as part of the morning session, Pierre-Yves Néron (UC Lille) presented his paper on why the debate of corporate governance regimes should focus more on workers in particular than stakeholders in general. Three other papers were discussed during that day. First, Isabelle Ferreras‘ (UC Louvain) work on the political nature of firms, then, Michael Bennett’s (Utrecht University) paper on workplace democracy, and finally, Abraham Singer‘s (Loyola University Chicago) text on the role that democracy should play in business ethics. 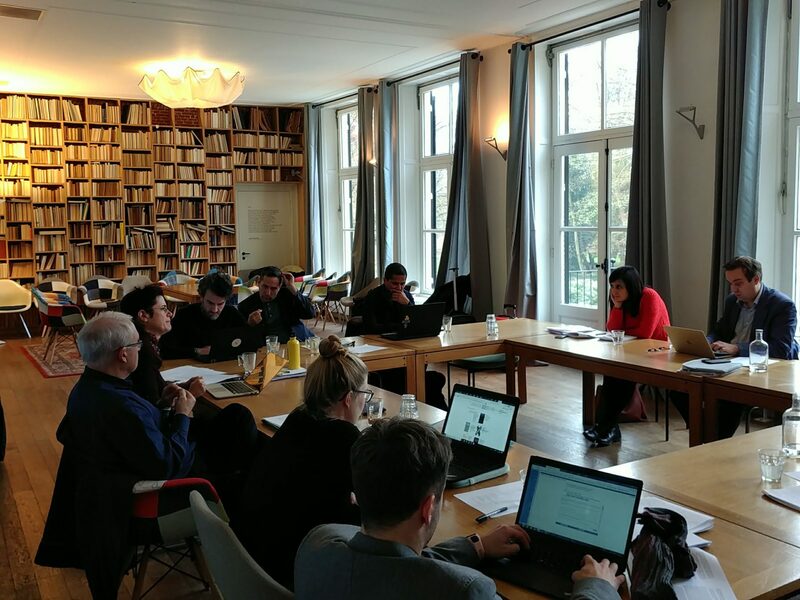 On the 27th, there was a morning session in which the group discussed Rutger Claassen‘s (Utrecht University) paper on a neo-Hobbesian theory of the modern business corporation – an approach that aims at revitalizing the ‘concessions theory’ of corporations. 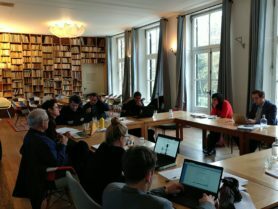 After this last session, the group gathered to talk about the possibilities of future research cooperation, events, and networks that could be relevant for those interested in the study of corporations. Thus, by bringing together different angles and perspectives in the study of the modern corporation, the workshop allowed to discover common ground and to set the foundations of an interdisciplinary research agenda on corporations.